On Saturday 11th June 2016 This Is The Kit, Hackney Colliery Band and BAS JAN contributed live music to Resonance FM‘s Hello GoodBye Show. 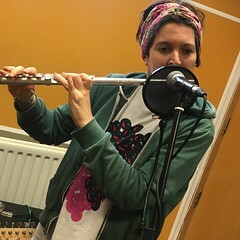 This entry was posted in dexter bentley, hello goodbye show, Hello GoodBye: Playlists, resonance fm and tagged BAS JAN, dexter bentley, hackney colliery band, hello goodbye show, jenny moore, kate stables, resonance fm, sarah anderson, serafina steer, steve pretty, this is the kit. Bookmark the permalink.